As we hit the midway point in the summer and the temperatures continue to rise, the experts at SERVPRO want to make sure your home stays dry all season long. With vacations, landscaping, and outdoor use at its height right now, it’s important to be aware of the ways you can leave yourself and your home vulnerable to water and flood damage. We’ve put together some exterior tips to help you keep your water where it’s supposed to be this summer, keeping you hydrated and cool! Clean out your gutters. Cleaning the gutters is one of those seasonal chores that’s always on the list, but none of us want to hop on that ladder and tackle all of the gunk that settles in there. It’s time to stop putting it off! Gutters need to be clean and clear of any debris need to be free of debris and in good condition. Be sure to also keep all downspouts within ten feet of the foundation of your home empty, and all trees trimmed. Clogged gutters can cause water to overflow into various spaces of your home, causing significant damage. So break out those ladders, and be sure to hire a professional if your gutters are too high to safely reach yourself. Take care of your roof. Spot check your roof for any missing or damaged shingles. While you’re scoping that out, keep an eye on any water stains along the bottom of the roof, at the sheathing, truss, and rafters. You also want to make sure all insulation is in good shape by looking for any holes in the attic. 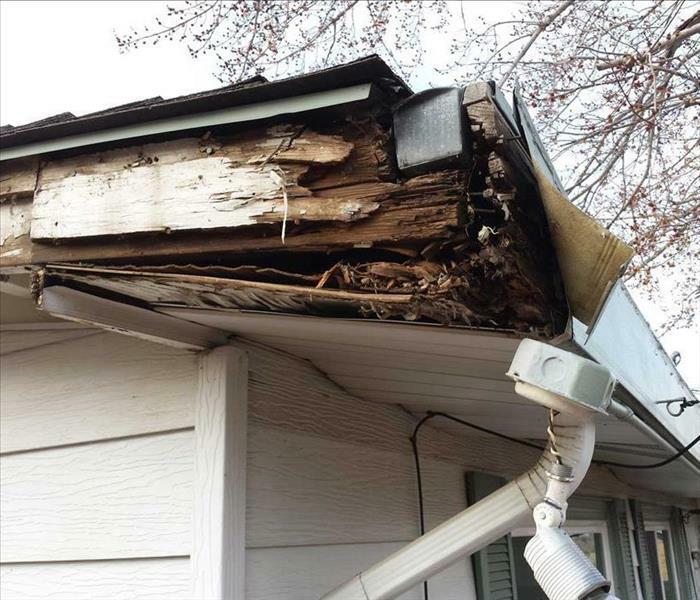 Any of these issues could leave the roof of your house vulnerable to a leak, and we know how strong those summer thunderstorms can be, yikes! Be careful with your landscaping. We all love to give our yards some extra time and attention in the summer, but be aware of the location of some of your landscaping. Stay away from any designs that require bedding material or mound soil to be set up against your home, and don’t ever stack piles of leaves or compost in a place that’s touching the foundation of your home. You also want to avoid those pretty yet pesky vines that climb up the walls of the house, because that can result in cracks later down the road. Make sure your house is “vacation ready”. Summer wouldn’t be complete without that family getaway, but don’t forget to create a checklist for the home so it stays in great shape while you’re gone! In addition to locking all windows and doors, be sure to close up any vents and skylights to keep the elements out. If you have window air conditioning units, it’s best to turn them completely off, because too much condensation can build up in the drop pans during hot days, causing it to overflow if the pan isn’t emptied regularly. If you apply these tips, the chances are higher you’ll have a dry home to enjoy all summer long. However, if your house suffers from water or flood damage this season, SERVPRO is here to help. Contact our water removal and cleanup specialists when flooding or water leaks cause water damage. SERVPRO will quickly dry your property using state-of-the-art water removal equipment and advanced drying techniques, documenting the drying process to make sure your property is dry and the job is done right. If you have mold or water damage, call SERVPRO at 610-546-2484 to schedule a cleanup. Your SERVPRO professionals of King of Prussia have the training, certifications, and equipment to remediate mold. Call today for a free estimate, and mention this post and get 10% off all your cleaning needs. We’ve finally made it to the WaWa Welcome America Festival, and SERVPRO couldn’t be more thrilled to be part of such an exciting event for Philadelphia, America’s birthplace! The free festival runs from June 28th through July 4th and is going to be jam-packed with community events and displays. There will be a fresh line-up of cultural entertainment and celebratory activities each day, like the United States Army Band concert on Saturday and the Historic Philadelphia Block Party on Tuesday. Be sure to stop by and say hello to us at the SERVPRO booth where we’ll be giving away some fun swag throughout the event. We have also reserved air-conditioned tents for both our first responders at EMS and our friends at Fire and Police. Head on over for some shade and hydration. Due to the potential of high heat during this time of year, the local EMS has committed to being available at First Aid Stations all day and will be patrolling to monitor the wellness of everyone in attendance. Be sure to all check out the tips from Philadelphia’s Office of Emergency Management on how to be safe during these celebrations. 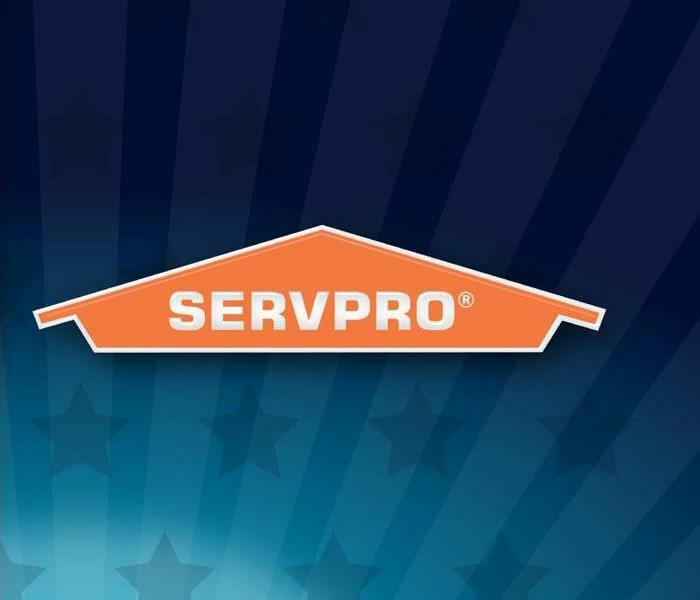 SERVPRO aims to assist Welcome America in enhancing the experience of both residents and visitors of Philadelphia. We’re proud to be sponsoring and volunteering at this special event help to foster community relationships and promote our city’s history. We love Philly and look forward to any opportunity to team up with WaWa and work as the official clean-up and restoration company of local events! We encourage all attendees of the event to stay safe and always be mindful of protecting the homes and business of Philadelphia. Remember that SERVPRO Franchise Professionals are dedicated to responding immediately when you need help with a fire or water damage event. A fast response lessens the damage, limits further damage, and reduces cost. If you would like to schedule service for your home or business, please call 610-337-3330 or 215-576-8887 or contact us at SERVPRO5038@yahoo.com today! 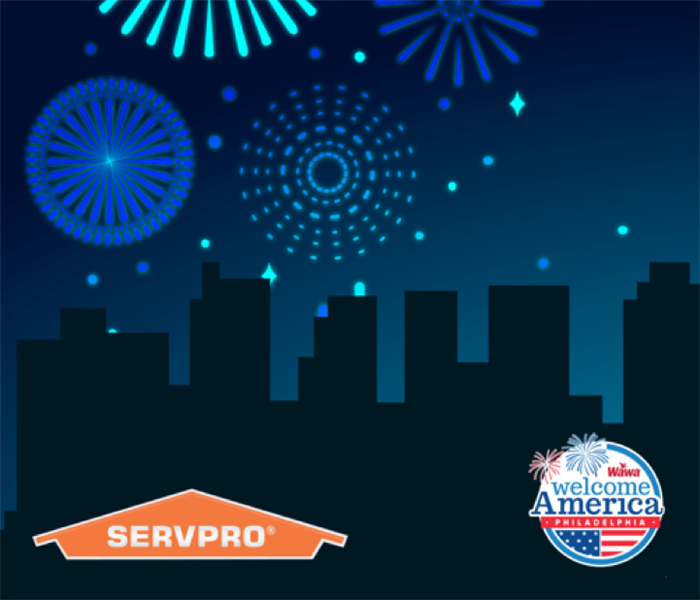 SERVPRO is a proud sponsor of the WaWa Welcome America Festival, taking place in just a few short weeks from June 29 - July 4th. The 6-day festival features over free multicultural and multigenerational events that celebrate Philadelphia as the birthplace of America. Events like the Sand Sculpture Spectacular will kick things off on Thursday, evening movies will show every night at Panati Playground, and don’t forget about the fireworks! Welcome America aims to promote American history and education in the city of Philadelphia while enhancing both resident and visitor experiences. These citywide events show what Philadelphia has to offer as an event destination. We at SERVPRO are dedicated to the personal and economic health and the lives of those within our community. This partnership with WaWa Welcome America is intended to enrich this city and provide an opportunity for us to better learn how we can serve your needs and positively impact the health of the spaces you live in. We’re looking forward to celebrating the birth of Philadelphia and America with you at WaWa Welcome America! Stay tuned for details on our booth location and additional details about the event. If you would like to schedule service for your home or business, please call 610-337-3330 or 215-576-8887 or contact us at SERVPRO5038@yahoo.com today! 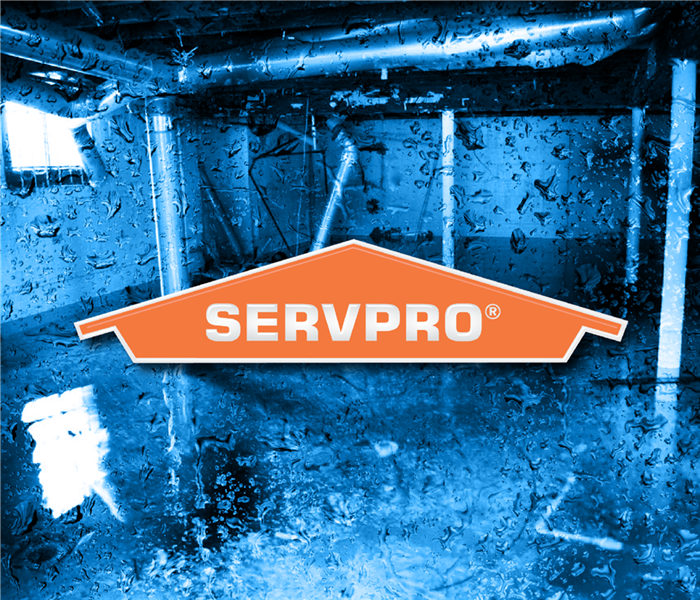 SERVPRO Water Damage Restoration: "Like it never happened!" At one of the local neighborhood homes, a family’s young son went downstairs to their finished basement to play only to notice water gushing from their ceiling. When his parents came down to see what was wrong, they discovered a saturated carpet and steady water drip. The source of the water flow was the kitchen sink, which was leaking water down through the floor into the basement each time the faucet was turned on. The dripping, dirty water from the kitchen drain drenched and damaged the cabinets, sink, and hardwood floors upstairs. In the basement, all of the walls, the ceiling, and carpets had to be removed and replaced. 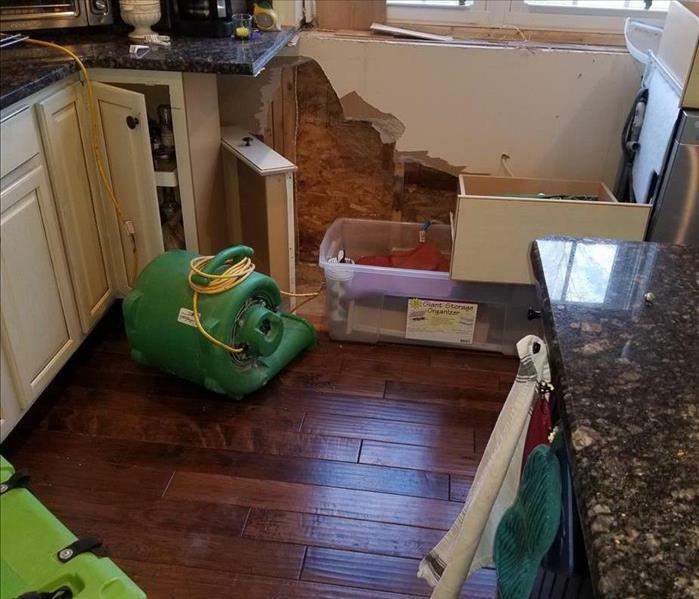 Once they determined the source of the water damage, the homeowners knew the experts at SERVPRO of King of Prussia were the ones to help! SERVPRO professionals visited their home the same day we received the call, promptly uncovered a cracked pipe as the culprit, and cleaned up the damage. We also eased the headache of dealing with the insurance company by helping to ensure all of the paperwork was properly completed. Spring Showers Can Leave Lasting Damage! Soaking up the sun in spring is ideal, however, April showers can leave you soaking up flood waters instead. If you live in a high flood area, overwhelmed sewer drains can cause waters to rise around your property leading to potential water damage. Water damage is destructive and can leave lasting damage around your property. If you don’t act quickly, mold growth, rust build-up, and rotting wood may permanently damage your home. Here are a few tips on how to dry your home fast after it floods. Take precaution before entering areas of your home with significant amounts of water. Nearby electrical units, especially furnaces, can be dangerous and must be turned off immediately to avoid personal injury. Call the power company to disconnect electricity if needed. Once the flood waters clear, dry your home as quickly as possible. Start by soaking up water with towels, buckets, or a Shop-vac. Following this, use floor fans and open all doors and fans to improve air circulation in the house. If needed, dehumidifiers are available to remove embedded moisture in wood floors and walls. In this case, it is important to close windows so that outdoor moisture does not enter the room. Start by placing all furniture and rugs outside to be dried by the sun. After furniture has been removed, it is important to check the drywall around flooded areas. Drywall may need to be cut and tossed to prevent mildew and other bacteria from growing within the walls. The source of the flood waters, like river water, may contain sewage or other bacterial contents. Once damaged items have been removed, make sure to disinfect all surfaces with an anti-bacterial solution or with a bleach and water mix. Sometimes the water damage to your home is overwhelming. Insulation damage behind the walls can lead to mildew and mold. Electrical wires connected to furnaces, water heaters or gas valves may need to be replaced if not inspected properly. Call your local SERVPRO if you are in need of professional Inspection. If you have mold or water damage, call SERVPRO at 610-546-2484 to schedule a cleanup. Your SERVPRO of King of Prussia professionals have the training, certifications, and equipment to remediate mold. Spring Mold Can Be Sneaky! Spring is right around the corner, almost. As the winter snow comes to an end, it’s imperative that you check all corners of your house for mold. Mold can be difficult to spot and has the ability to grow quickly out of hand. If not taken care of immediately, mold spores may spread, causing nasal-related health issues. Here are a few common signs that may indicate you have mold growing in your home. 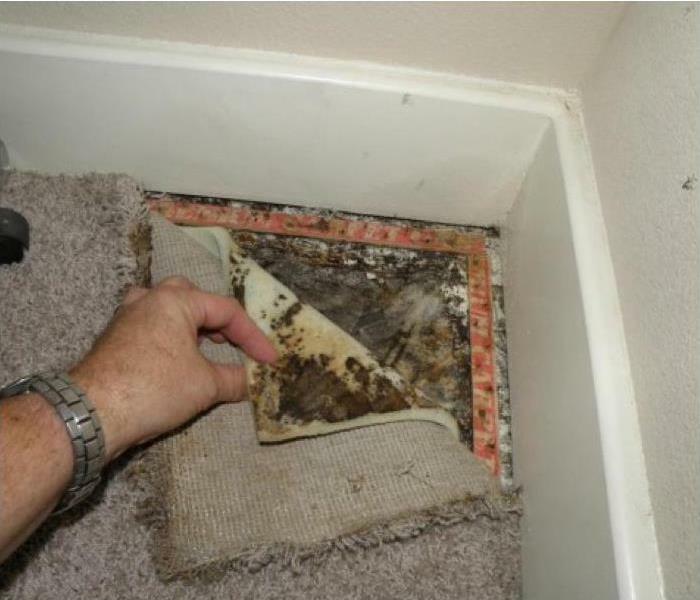 Mold has a distinct smell that will often spread throughout the room. A musty odor may be an indication of mold growth in your house. Don’t ignore the smell. Instead, check all corners of the room to ensure you do not have mold. Water leaks can drip water in secluded places, making it difficult to fully track the damage of the leak. Water that remains untouched for 24-48 hours can result in mold growth. Be sure to check the location of the water leak and its perimeter in case of mold growth. Condensation can occur on surfaces such as glass or metal and has the potential to trigger mold growth. High humidity can feed mold, allowing it to grow rapidly. Check areas in your house that have high moisture and be sure to keep any condensation clean. If you have an attic or basement, check for moisture regularly. Mold can grow in hidden places and must be checked before the damage gets out of control. Call your local SERVPRO if you are in need of a Mold Inspection. If you have mold or water damage, call SERVPRO at 610-546-2484 to schedule a cleanup. Your SERVPRO professionals of King of Prussia have the training, certifications, and equipment to remediate mold. Call today for a free estimate. Mention this post and get 10% off all your cleaning needs! Leading Cause of House Fires? Electric Heaters! Do not plug other electrical devices into the same outlet as the heater. Before running your electrical heater, it’s important to understand the risks of fire and smoke damage. Fire damage can leave a lasting impact on your house and may cause additional smoke damage. Keep cabinet doors open during the coldest days of the month to circulate warm air around the pipes. Of course, be sure to move any harmful cleaners and household chemicals to a secure spot out of the reach of children. Leave water on at a very slow trickle through faucets, especially from pipes lacking heat or insulation. The slow flow can often prevent water from freezing in place in the pipe. If you have outdoor faucets, consider turning them off. Shutting off the valve in the basement, or crawl space, will prevent water from freezing in outdoor exposed pipes. Make sure to completely drain outdoor faucets, as well. If you leave for vacation, set the temperature in your home no lower than 55° F. Leaving the heat on ensures that all pipes will remain warm during your time away. If there are water lines in the garage, keep the garage door shut! Open garage doors allow drafts to potentially freeze exposed pipes. 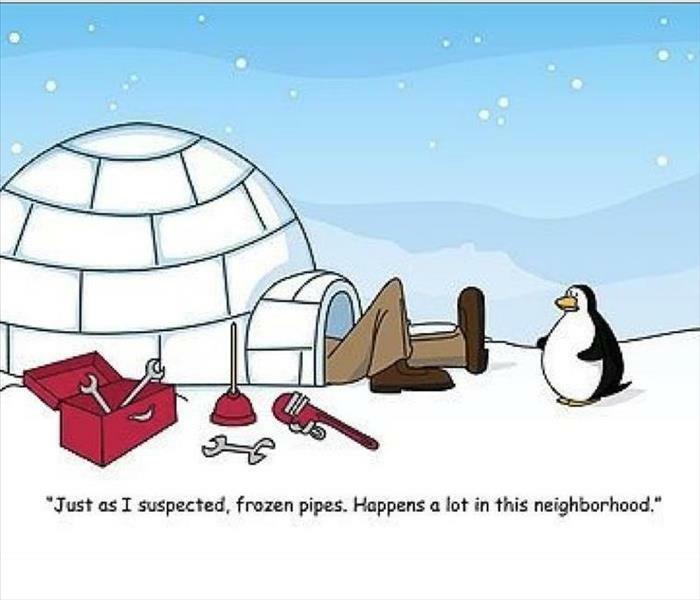 In the coldest days of winter, be sure to regularly check your water pipes and faucets. The earlier water damage is discovered, the easier it is to clean and contain—water leaks left unchecked for as little as 48 hours can easily result in mold growth. Don't Let Winter Fires Ruin Your Dinner! There were three house fires in Montgomery County overnight Wednesday into Thursday and since Dec. 1, 2017, there have been 21 house fires, including two that were multi-alarm. That is an unusually high number that may be attributable to the exceedingly cold temperatures the region has been experiencing recently. 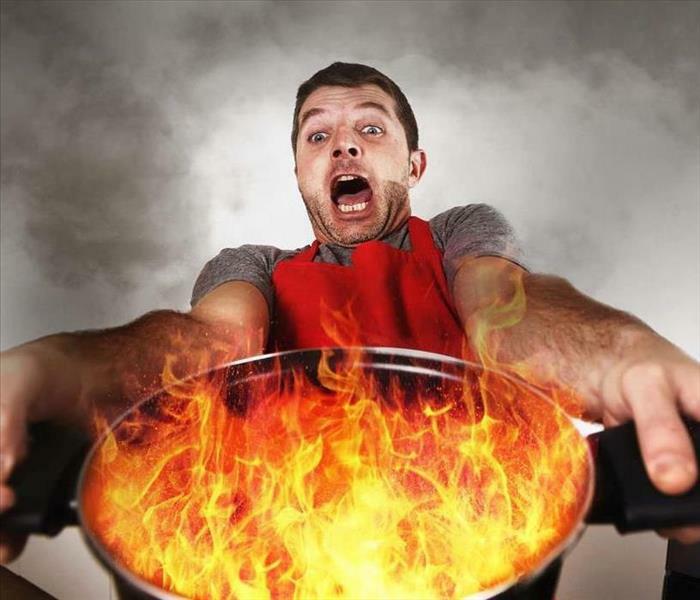 Cooking is the leading cause of home fires and can easily be prevented. We urge all of our residents to follow these important steps to prevent winter home fires. Never leave food cooking on the stovetop unattended. Keep a close eye on what’s cooking, particularly if you are frying food. If you see any smoke or the grease starts to boil, turn the burner off. Keep a pan lid or cookie sheet nearby and use it to cover the pan if it catches fire. Turn pot handles toward the back of the stove so they aren’t bumped or pulled over accidentally. The steps people sometimes take in an effort to heat their homes, particularly during power outages, can also lead to house fires. The following steps can prevent house fires in those instances. Keep anything that can burn at least three feet from heat sources, such as fireplaces, wood stoves, radiators, and space heaters. Use flameless candles, flashlights and glow sticks in the event of a power outage. Don’t use an oven, stovetop or bring an outdoor grill inside to inside to heat your home. Those pose a serious risk of carbon monoxide (CO) poisoning and/or fire. Turn space heaters off when leaving the room or going to bed. 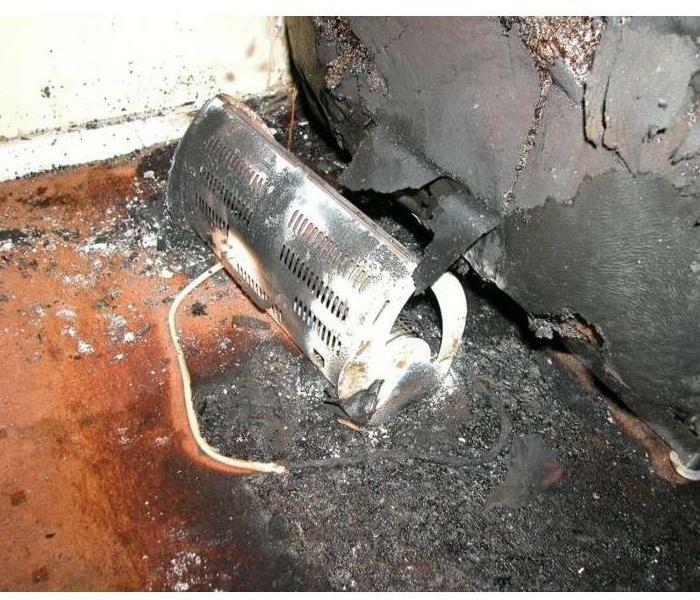 Don’t use more than one space heater at a time and don’t run extension cords to them. If you use a portable generator during a power outage, make sure it is outdoors in a well-ventilated area away from doors, windows and vents, make sure you have working carbon monoxide detectors in your home and never refuel your generator when it is running. Water pressure will build immensely between the ice blockage and faucet, eventually causing the pipe to burst. Ice Dams: Ice dams form on the edge of a roof and prevent melting snow from draining off. The roof’s warmth causes the ice that is backed up behind the dam to melt and leak into a home, causing damage to the walls, ceilings, insulation, and other areas. How to Avoid Them: Remove any standing snow and ice from your roof. It’s easier said than done, but the best way to prevent ice dams. When building a home, opt for waterproof membranes under shingles and keep the attic floor well insulated. 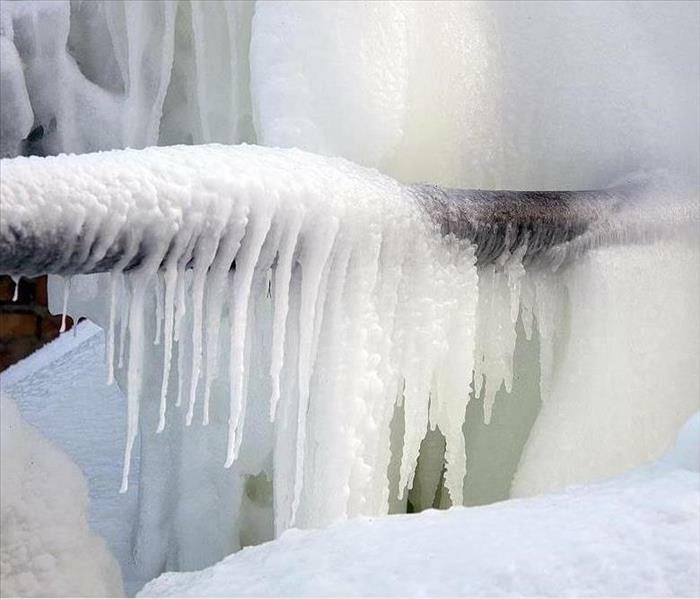 Pipe Bursts: When water begins to freeze in pipes, it pushes the remaining liquid water toward the closed faucet. Water pressure will build immensely between the ice blockage and faucet, eventually causing the pipe to burst. How to Avoid Them: Keep pipes away from exterior walls if possible, and make sure your home is adequately insulated. Also be sure to properly empty outside water lines, like lawn irrigation sprinklers, hoses, and outdoor faucets. Snowmelt: Large piles of snow near the siding of your house will eventually melt, especially near the end of winter. If large snow piles are left unshoveled, melted snow can seep into cracks in your foundation. How to Avoid Them: Remove snow piled close to your home before it melts into the home, and check your foundation for cracks or potential entry points. During the snowy months, regularly check your roof, basement, and pipes. The earlier water damage is discovered, the easier it is to clean and contain—water leaks left unchecked for as little as 48 hours can easily result in mold growth. 5/22/2018 - SERVPRO Water Damage Restoration: "Like it never happened!" 4/23/2018 - Spring Showers Can Leave Lasting Damage! 4/11/2018 - Spring Mold Can Be Sneaky! 2/27/2018 - Leading Cause of House Fires? Electric Heaters! 1/5/2018 - Don't Let Winter Fires Ruin Your Dinner!